CFMEU slams BHP’s decision to cut 700 jobs (0) September 23, 2014 The CFMEU has accused BHP Billiton of not caring about its workforce or the future of Central Queensland after the miner announced it would cut 700 jobs. 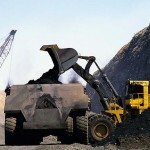 Port Waratah Coal Services cuts more jobs (0) September 23, 2014 Port Waratah Coal Services have cut another 32 jobs from its coal terminals in Newcastle. 700 people sacked from BHP’s Queensland coal business (0) September 23, 2014 BHP Billiton is cutting 700 jobs across its Queensland coal business. 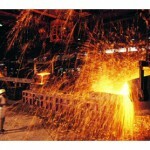 Chinese steel output won’t top 900 m tonnes: expert (0) September 23, 2014 ​China’s steel output is nearing its capacity, according to one of the country’s senior figures in its steelmaking industry. 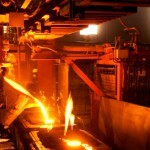 Chinese steel production figures overcooked, expert says (0) September 23, 2014 Iron ore is on the slide, finishing at below $US80 a tonne for the first time in five years. 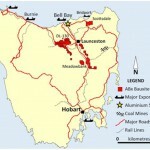 New bauxite mine in Tasmania to create 45 jobs (0) September 23, 2014 Tasmania will see the development of its first bauxite mine in over 30 years after approving Australian Bauxite Limited’s Bald Hill project in the state’s north. 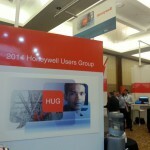 ​Honeywell User Group conference kicks off (1) September 23, 2014 The Honeywell User Group has begun, showcasing the company’s latest developments in processing technology and equipment. 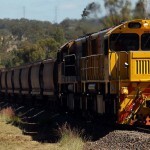 Whitehaven Coal gets greenlight for Vickery coal mine (0) September 22, 2014 The NSW Department of Planning and Environment has approved Whitehaven Coal’s Vickery coal project in the Gunnedah Basin. 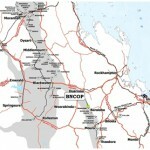 Bandanna Energy goes into administration (0) September 22, 2014 Bandanna Energy has gone into voluntary administration after failing to secure funding for take or pay contracts for a proposed coal mine in Queensland’s Bowen Basin. 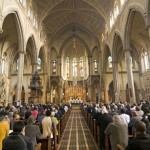 Anglo American to sit down with church-goers and explain importance of coal (0) September 22, 2014 Anglo American CEO Mark Cutifani plans to sit down with faith-based groups in a bid to curb anti-fossil fuel sentiment. Anglo American boss visits Drayton mine (0) September 22, 2014 CEO of Anglo American Mark Cutifani thanked workers at Drayton mine during a visit over the weekend. Targeting high grade ore at Granny Smith gold mine (0) September 22, 2014 Gold Fields is looking to change its mining method at Granny Smith so it can chase higher grade ore.
Dassault Systèmes Introduces SOLIDWORKS 2015 (0) September 22, 2014 SOLIDWORKS 2015, the latest edition of the Dassault Systèmes’ portfolio of 3D design software applications, has been released. Indigenous land use deal could derail Glencore’s plans for Cape York bauxite mine (0) September 22, 2014 Traditional owners of a bauxite lode at Aurukun have moved to block Glencore from developing the deposit in favour of a rival bidder. 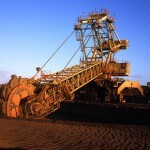 WA’s mining sector worth $121.6 billion (0) September 22, 2014 Data released by the Department of Mines and Petroleum has valued Western Australia’s mineral and petroleum industry in 2013-14 at $121.6 billion, a 20 per cent increase on last year. 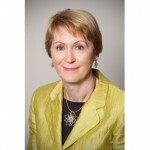 Atlas Iron director resigns to become WA Governor (0) September 19, 2014 Kerry Sanderson has resigned from her role at Atlas Iron to become Western Australia’s first female Governor. Suspended jail sentence for miner caught with drugs (0) September 19, 2014 A former mine project manager has told a court that his problems with drug abuse started after having to sack 51 workers. Dead man’s supervisor charged with drug supply (0) September 19, 2014 The supervisor of a worker found dead in Queensland last week has been charged with drug offences allegedly linked to the incident. 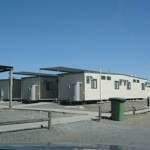 Man dies at WA gold camp (0) September 19, 2014 A mine worker has been found dead in his room at Saracen Mineral Holdings’ camp in Western Australia. Australian Mining Weekly News Wrap [VIDEO] (0) September 18, 2014 Australian Mining’s Vicky Validakis takes you through what’s been happening in the mining industry this week. SAI Global sees acquisition interest for its subsidiaries (0) September 18, 2014 SAI Global has received proposals to acquire one or more of its underlying businesses, as it pulls the plug on a takeover. 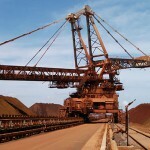 Aussie government predicts iron ore price recovery (0) September 18, 2014 The Bureau of Resources and Energy Economics predicts iron ore will trade at around $90 – $S95 for the next five years. Claims Maules Creek protestors interfered with explosives on site (0) September 18, 2014 Investigations are underway following claims that protestors broke into the Maules Creek mine and tampered with explosives on site. 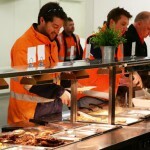 FIFO workers battling the bulge (0) September 18, 2014 A small research project into the diets of men working at a FIFO mine site has found they were more overweight or obese than the average Australian. 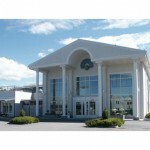 Danfoss looks to acquire Vacon (0) September 18, 2014 Danfoss has offered $1.5 billion to acquire Vacon in an effort to boost its electronics division. BHP cuts jobs at Port Hedland (0) September 18, 2014 BHP Billiton has cut jobs from its iron ore business as the company focuses its efficiency drive on operations at Port Hedland. Macmahon enters three week work stoppage in Mongolia (0) September 18, 2014 Machamon and its subsidiaries have entered a three week work standstill agreement following suspension of operations. Farmers warn of “biggest ever” protests if Shenhua’s Watermark Coal gains approval (0) September 17, 2014 Some farmers in north-west NSW are angry Shenhua’s massive new mine has been approved, and are vowing to undertake civil disobedience if the project goes ahead. 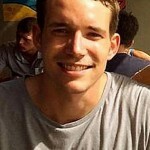 Tourist found dead in Thailand completed mining scholarship in Australia (0) September 17, 2014 A British man found dead on a Thai beach had recently spent time in Australia as part of a mining scholarship. ​Chinese cap coal import quality levels (0) September 17, 2014 The Chinese Government has announced a tightening of the quality of its coal imports, which may have flow on effects to Australian coal miners. 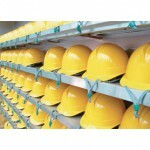 Contract worker found dead in donga (0) September 16, 2014 A contract worker was found dead in his room at a work site in Queensland on Friday. 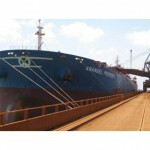 Iron ore recovery not expected to last (0) September 16, 2014 Iron ore had its biggest one-day gain in over a year on Monday with the price rising by nearly four per cent. 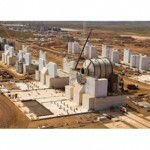 Contractor dies at CSG work site in Queensland (0) September 16, 2014 A worker has been killed at Origin Energy’s Reedy Creek work site. Tony Abbott to visit proposed mine training centre in Arnhem Land (0) September 16, 2014 Prime Minister Tony Abbott will today visit a proposed training centre in north-east Arnhem Land as part of his tour of Indigenous communities in the Top End. 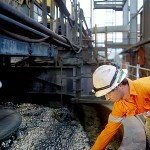 ​NSW Minerals Council slams Australia Institute over job figures (0) September 16, 2014 The NSW Minerals Council has slammed The Australia Institute over incorrect figures relating to NSW mining projects. 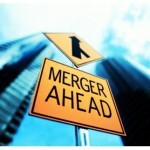 ​AngloGold backflips on demerger (0) September 16, 2014 AngloGold Ashanti has announced its decision to not split the company, only a week after announcing plans to spin out its non-African assets. 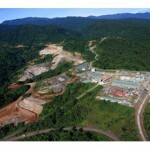 ​Miner dies at Grasberg mine (0) September 16, 2014 A miner has been killed in a rockfall at the Freeport McMoran Grasberg mine in Indonesia. 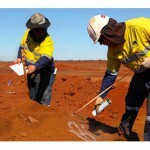 Viento wins Fortescue Metals pipeline contract (0) September 15, 2014 Viento has won a contract to build a pipeline for Fortescue Metals’ North Star magnetite project. 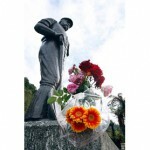 Mine workers remembered at Memorial Day service (0) September 15, 2014 Four mine workers who lost their lives at work in the last year were added to the Jim Comerford Memorial Wall in Cessnock at the weekend. Barminco win Western Areas’ nickel mining contract extension (0) September 15, 2014 Barminco has won a $190 million extension to its underground mining contract at Western Areas’ Spotted Quoll and Flying Fox nickel mines. 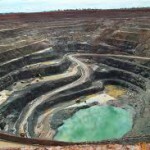 ​Mining lobby groups slam Australia Institute report as ‘sham’ (0) September 15, 2014 The Queensland Resources Council and the NSW Minerals Council have slammed an anti-mining report by The Australia Institute, calling it a sham. 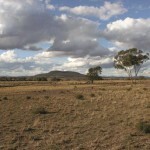 Anti-uranium activists criticise NSW exploration program (0) September 15, 2014 Anti-nuclear campaigners have criticised the NSW government for opening up the state to uranium exploration. 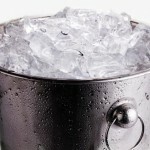 Mine workers sacked for 100 litre ice bucket challenge (0) September 15, 2014 Three workers have been sacked from BHP Billiton’s Mt Whaleback mine in Western Australia after using industrial equipment to enact the ice bucket challenge craze sweeping social media. Rio Tinto mine rescue team places in International Mines Rescue Comp (0) September 15, 2014 An Australian mining team has taken third in the International Mines Rescue Competition in Poland. 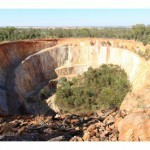 Uranium mining a step closer to reality in NSW (0) September 12, 2014 New South Wales has moved a step closer to developing its first uranium mine, with six companies invited to apply for exploration licences. 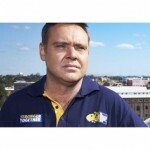 Case dropped against former MasterChef star turned mining CEO accused of stealing $7m (0) September 12, 2014 Former MasterChef contestant and mining CEO Aaron Thomas will no longer face court over allegations he stole more than $US7 million from the iron ore company he founded. Grieving mother says company not to blame for son’s death (0) September 12, 2014 The mother of a man killed at a quarry this week has spoken of her grief. ​Former FBI chief called in to investigate BSGR Rio Tinto corruption claims (0) September 12, 2014 The trust in charge of BSG Resources has brought ex-FBI director Louis Freeh to investigate corruption claims over the Simandou tenements in Guinea. 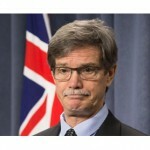 ​AusIMM calls for mining to be excluded from 457 visa program (0) September 12, 2014 AusIMM has called for mining professional positions to not come under the program following a review of the existing immigration program. Yancoal cuts 50 underground mine jobs (0) September 12, 2014 Yancoal is set to cut 50 jobs from its Abel underground coal mine near Newcastle. 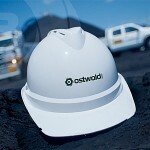 Workers allegedly refused safety gear, told coal ash was non-toxic (0) September 11, 2014 A lawsuit has been filed against an US power company that allegedly told workers coal ash was ‘safe enough to eat’. ​Rio Tinto’s Argyle mine gives US museum diamonds (0) September 11, 2014 Rio Tinto’s Argyle diamond mine has given the US Smithsonian Institute 500 carats of rough diamonds as a gift. Collision Avoidance Technology Tipped as Top Area for Investment in 2014 (0) September 11, 2014 According to a recent survey, investment in collision avoidance and proximity detection technology has been earmarked as one of the top three areas for new technology investment in Australian Mining. 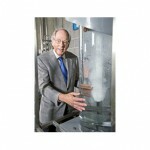 Peabody president wins University of Newcastle awards (0) September 11, 2014 Peabody Energy president Glenn Kellow has won the University of Newcastle’s 2014 Alumni Award for International Leadership. $1 million lead poisoning claim heading to civil trial (0) September 11, 2014 Glencore’s Mount Isa Mine is facing a compensation claim of $1 million over alleged lead poisoning, after the miner lost the right to have the case thrown out. Coal ship breaks loose in Gladstone (0) September 11, 2014 A loaded coal ship broke loose from its moorings in Gladstone Harbour, bringing the site to a standstill. Burnie Caterpillar workers may not lose jobs after all (0) September 11, 2014 The 200 workers from Caterpillar’s plant in Burnie who are expecting to lose their jobs this year may now keep them, according to the AMWU. Macmahon secures massive new funding facility (0) September 11, 2014 Macmahon has secured a new three year funding facility, upsizing it after the initial facility was oversubscribed. ABB wins massive truckless mine automation contract (53) September 11, 2014 ABB has won a contract to make the world’s largest iron truckless. 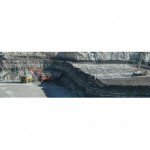 Man dies after excavator accident at quarry: UPDATE (0) September 11, 2014 Recovery efforts are continuing today after a 25-year-old man died when his excavator rolled down an embankment at Karuah’s Hunter Quarries on Tuesday. 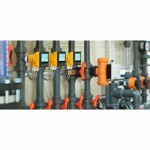 Versatile Australian smart card-based access control system for high risk equipment wins global acceptance (0) September 11, 2014 AccessPack, an access control system for machinery from Western Australian company CASWA is winning the support of leading companies around the world. 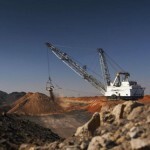 ​AngloGold Ashanti spins out non-African assets (0) September 10, 2014 AngloGold Ashanti is walking the footsteps of BHP, with the company spinning out all of its non-South African assets into a new company. 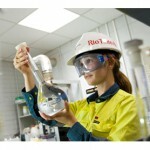 Rio boss says there’s a bright future for uranium market (0) September 10, 2014 Rio Tinto’s energy chief warned punters should not get too carried away with a spike in the uranium price, predicting an uptake in the industry was years away. Analyst ignores the pack, predicts iron ore price rise (0) September 10, 2014 At odds with other iron ore analysis of late, Westpac chief economist told a conference he expects the price to pick up to over $US100 a tonne next year. Coal will be continue to be king in world energy production: Rio Tinto (0) September 10, 2014 Rio Tinto’s energy boss said coal will remain the number one energy source for decades to come but said it needed to be cleaned up to help fight climate change. ​Caterpillar launches more efficient wheel dozer (0) September 10, 2014 Cat has launched its new 824K wheel dozer with increased durability. Miner sustains serious burns after truck fire at Saraji coal mine (0) September 10, 2014 A truck fire at BMA’s Saraji mine has left a worker with serious burns. QLD passes new mining laws (190) September 10, 2014 Queensland has passed its new controversial Mineral and Energy Resources (Common Provisions) Bill. ​Massive 232 carat white diamond uncovered (0) September 10, 2014 A 232.08 carat white diamond worth $22 million has been uncovered. Honeywell to promote knowledge sharing at 2014 Asia-Pacific Users Group (0) September 10, 2014 Honeywell Process Solutions will showcase the latest developments in process automation and controls at the 2014 Symposium to be held on the Gold Coast. Underground mine worker pinned by coal conveyor, suffers leg injuries (0) September 9, 2014 A man is in hospital after being injured while working underground at Glencore’s Oaky North coal mine. Subcontractors steal 340 litres of fuel from mine site (0) September 9, 2014 Two men have been charged for allegedly stealing 340 litres of fuel from Iluka Resources’ Murray Basin mine. ​US drafts new asteroid mining bill (0) September 9, 2014 The US is taking a major step forward in interplanetary mining, drafting a new bill to aid development of the asteroid mining industry. 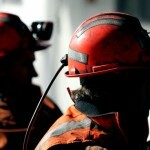 Unemployment for resource professionals hits double digits (34) September 9, 2014 Mining industry professionals are experiencing unemployment levels double that of the national average. Mine worker suffers serious burns after fire on site (0) September 8, 2014 A man has been seriously injured at a mine site in the Northern Territory after pouring fuel on a fire. “Perfect storm” to resurrect global uranium industry (0) September 8, 2014 An Australian company vying to develop a new uranium mine in Namibia has told a mining conference that a “perfect storm” is tipped to shake up the global uranium sector. Iron ore company collapses after only 10 months in business (0) September 8, 2014 Western Desert Resources has called in administrators after falling victim to a sliding iron ore price. 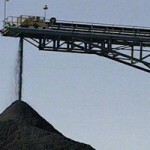 Shenhua’s Watermark Coal project gains PAC approval (0) September 8, 2014 Shenhua’s huge Watermark Coal project in north-west New South Wales has been recommended for approval by the Planning Assessment Commission. ​Ravensworth coal mine shutdown postponed (0) September 8, 2014 The closure of the Ravensworth underground coal mine has been pushed back in an effort to secure miners new jobs. 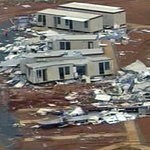 ​Ammonium nitrate truck explodes (0) September 8, 2014 A truck transporting ammonium nitrate has exploded in South West Queensland, destroying bridges, sections of the road, and two firefighting trucks. Mining Equipment Maintenance celebrates a year back in business (0) September 8, 2014 ​Central Queensland’s Mining Equipment Maintenance has celebrated its first year after founder Paul Waardyk returned to ownership of the business. Mine engineering firm goes under, 120 people made redundant (0) September 5, 2014 A Wollongong-based engineering firm that services the mining industry has been forced to shut its doors, affecting 120 jobs. Maules Creek mine winter clearing case adjourned (0) September 5, 2014 A court hearing into Whitehaven Coal’s winter clearing activity at the Maules Creek mine site has been adjourned. ​Joy Global records another slump in profit (1) September 5, 2014 Joy Global has posted another disappointing quarterly result, with profit falling year on year, but is seeing a rise in bookings. 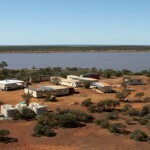 Poseidon Nickel picks up another operation in WA (0) September 5, 2014 Poseidon Nickel, a junior mining company backed by Andrew “Twiggy” Forrest, has bought the Lake Johnston Nickel Project from Norilsk Nickel. 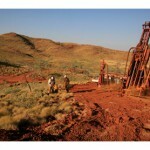 Exploration in Australia continues to slide (0) September 5, 2014 Resource exploration spending has dropped to seven-year lows with concerns cost-cutting measures may delay Australia’s next generation of mines. OZ Minerals appoints new CEO (0) September 5, 2014 OZ Minerals has appointed Andrew Cole as its new CEO. Miners show their support for breast cancer research (0) September 5, 2014 ​Workers at the Golden Grove mine in Western Australia joined the Real Men Wear Pink campaign, and have already raised $11,000. Find out more here. Australian uranium deal could make Indian nuclear power safer (0) September 5, 2014 A new deal that sees Australia export uranium to India may come with the added bonus of greater transparency in its usage. 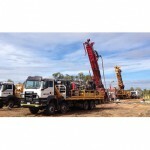 Alkane’s Dubbo Zirconia Project heads to PAC (0) September 4, 2014 Alkane Resources’ Dubbo Zirconia Project is a step closer to being granted final approval after the NSW Department of Planning and Environment awarded the project the green light. 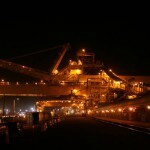 Olympic Dam expansion hinges on new heap leach process (38) September 4, 2014 BHP Billiton has revealed it is working hard to develop its Olympic Dam expansion, with CEO Andrew Mackenzie calling it a “phenomenal resource”. 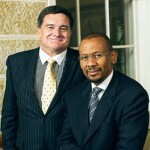 African investment in the spotlight in Perth (825) September 4, 2014 ​Shadow Minister for Resources Gary Gray has spoken at the annual Africa Downunder Conference, which began in Perth yesterday. ​New MCA paper investigates reversing Australian mining’s competitive slide (0) September 4, 2014 A new Minerals Council of Australia paper has been released, focusing on reversing the current slide in international competitiveness. Mineral exploration in space to return results in 2020 (0) September 4, 2014 ​Mining in outer space is a step closer to reality, as Japanese scientists prepare to launch a new probe to conduct mineral exploration on asteroids. Gold mine fined $200k for polluting river (0) September 4, 2014 A gold mine in southern NSW has been ordered to pay $200 000 after it was found guilty of polluting nearby creeks. FMG posts record iron ore exports (0) September 4, 2014 Fortescue Metals Group posted a record-breaking August with the export of more than 15 million tonnes of iron ore.
UPDATE: CFMEU fight for right to call workers scabs (0) September 4, 2014 The CFMEU has taken a case to the High Court to be able to use the term ‘scab’ during industrial action. 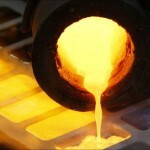 Australian gold output up by 10 per cent (0) September 3, 2014 Cost cutting and a move to higher grade ores has seen Australia’s gold production rise 10 per cent over the past twelve months. Mining tax buried by Senate deal (0) September 3, 2014 ​Mining companies and coalition members were jubilant yesterday as the Mineral Resources Rent Tax was repealed in the Senate. 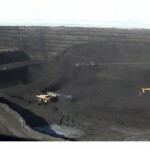 Glencore to cut 100 jobs from Clermont coal mine (890) September 3, 2014 Glencore has announced it will cut 100 positions from the Clermont open cut coal mine. 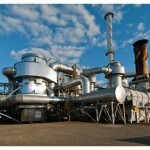 BHP reportedly sees Glencore offer for Nickel West assets (0) September 3, 2014 BHP has reportedly seen a formal offer from Glencore for its on the market Nickel West assets. 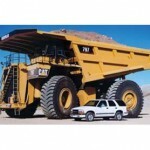 Komatsu launch new 40 tonne articulated dump truck (0) September 3, 2014 Komatsu has released its new HM400-3M0 articulated dump truck with advanced traction and transmission systems, and higher capacity. 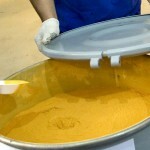 Australia and India to sign uranium sale deal (0) September 3, 2014 Australia will soon be exporting its uranium to India, with a deal set to be finalised in the next few days. 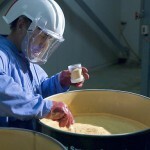 Lynas wins full operating licence for its LAMP (0) September 3, 2014 Lynas has been issued with a full operating stage licence for its Lynas Advanced Materials Plant. UPDATE: MP Christensen to meet BMA for FIFO discussion (0) September 2, 2014 ​Liberal MP George Christensen has arranged meetings with BMA on October 8 to discuss the issue of 100 per cent FIFO staffing. Mining tax repeal stuck in Senate doldrums (0) September 2, 2014 ​Clive Palmer continues to thwart Federal Government plans to scrap the mining tax. Women in mining benefit from mentoring program (0) September 2, 2014 A program aimed at encouraging women to forge a career in the resources sector is set to continue in Queensland, with the government announcing a new round of funding. 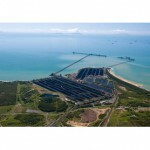 Tag win contract to build Rio Tinto’s Weipa solar power plant (0) September 2, 2014 Tag has signed a contract with First Solar to build the solar power plant for Rio Tinto’s Weipa bauxite mine in Queensland. Abbott Point dredge dumping plans on the rocks (1) September 2, 2014 ​Proponents of the expansion to the Abbott Point coal loading facility will abandon plans to dump dredge spoils in the Great Barrier Reef. Curtin University partners with Polaris Metals to improve mining enviromental studies (0) September 2, 2014 Curtin University has partnered with Polaris Metals to improve the effectiveness of biodiversity data gathered in mining studies. Rio Tinto cut jobs at Kestrel coal mine (0) September 2, 2014 Rio Tinto is cutting jobs at its Kestrel mine in Queensland, with workers informed of the changes yesterday. Coffey International to carry out unsecured bond offering (0) September 2, 2014 Coffey International will carry out an unsecured bond offering to raise $40 million. Police called over AMWU “preventing and slowing traffic” at Pinjarra refinery (0) September 2, 2014 ​Police have been called to Alcoa’s Pinjarra refinery over claims the AMWU is trying to disturb operations and obstruct traffic trying to enter the site. Owner/operator mining starts at Gina Rinehart’s Roy Hill mine (0) September 2, 2014 Gina Rinehart’s $10 billion iron ore mine has marked the official start of owner/operator mining. Downer wins massive Gorgon contract on Barrow Island (0) September 2, 2014 Downer EDI has secured a $170 million contract for work at the Gorgon project on Barrow Island, creating 400 new jobs. Horse rescues dog from Mt Larcom mineshaft (0) September 2, 2014 ​​A dog has survived a 38 metre fall down a mine shaft at Mt Larcom, near Gladstone in Queensland. Tasmanian open cut mine may be safe haven for Tasmanian devils (0) September 1, 2014 A mining workshop has heard how open cut mines are providing places of refuge for endangered Tasmanian Devils. Pilbara Iron charged with unsafe work environment (0) September 1, 2014 ​The Department of Mines and Petroleum has charged Pilbara Iron in relation to the death of Brent Glew in 2011. Head-first into High-visibility: New hi-viz helmets (0) September 1, 2014 A new type of electronic tape is lighting the way for improved worker safety. Nightvision helicopter improves medical response in Cooper Basin (0) September 1, 2014 ​South Australia’s Cooper Basin has a new flying medical service, funded by Senex Energy and Drillsearch Energy. Walker Review recommendations accepted by NSW government (0) August 29, 2014 ​Mining and gas explorers will be forced to pay the cost of arbitration with landholders in the event of access disputes. 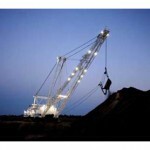 PPK Group acquires mining electronic management system company (0) August 29, 2014 The PPK Group has acquired electronic management system company MONEx. Privatisation of ports to finance WA government bailout (0) August 29, 2014 ​The WA government will sell off the Kwinana Bulk Terminal and Utah Point bulk handling facility in order to reduce debt. Goondicum mine to reopen next March (0) August 29, 2014 Melior Resources has announced it will reopen the Goondicum mineral sands mine next March, creating 50 new mining jobs. 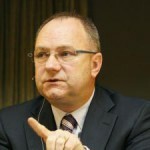 ​Vermeer announces new president (0) August 29, 2014 Vermeer has announced Jason Andringa will step into the role of president and CEO of the company in November next year. Whitehaven CEO speaks against trend for fossil fuel divestment, (0) August 29, 2014 ​The growing trend for shifting investment away from fossil fuels and towards renewables has coal bosses nervous. Correction: Mt Lyell to reopen (0) August 28, 2014 Australian Mining apologies for a story it published earlier this week stating that the Mt Lyell mine was to reopen. Ashton coal mine to extend for seven years, dairies lose out (0) August 28, 2014 The NSW Land and Environment Court has found in favour of the Ashton South East Open Cut (SEOC) coal mine expansion. ​Protestors form 8km human chain to protest brown coal (0) August 28, 2014 More than 7000 activists in Germany have formed a human chain eight kilometres long to protest against a proposed brown coal mine. 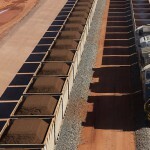 ​Glencore selected as preferred proponent for Cape York bauxite mine (0) August 28, 2014 The QLD Government has listed Glencore as the ‘preferred proponent’ for the Aurukun bauxite project in Cape York. Australia to represent in mines rescue competition in Poland (0) August 28, 2014 ​Two Australian teams, from the Kestrel and Oakey Creek mines, are gearing up to compete in the International Mines Rescue Competition next month. 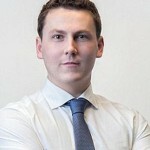 Why the Mining Industry Needs to Manage Its Assets Better [opinion] (0) August 28, 2014 Ventyx’s Shawn Lyndon dissects the state of maintenance in mining, and how to counter its high costs. 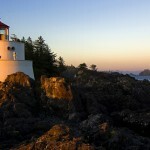 Nickel West “not a good fit” for BHP’s Newco (0) August 27, 2014 ​It’s clear that BHP will not hold onto its Nickel West asset, now in talks with Glencore and Jinchuan Group. 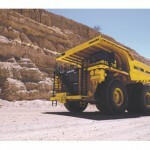 Komatsu launch new AC drive version of its mine truck (0) August 27, 2014 Komatsu Australia have announced a new AC drive version of its 200 US ton 730E-8 mine truck. Slippery slope for iron ore (0) August 27, 2014 ​The global iron ore surplus continues to grease the way down for prices, which have slid to new lows with a US$80.02 per tonne recorded yesterday. 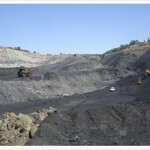 Coal mine fined for stockpiling without permission (0) August 27, 2014 Boggabri Coal has been fined for stockpiling material at an unauthorised location, a breach of their mining approval conditions. 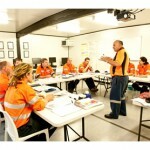 Thiess selects Careers Australia as apprentice trainer (0) August 26, 2014 Thiess has selected Careers Australia to be its national apprenticeship training provider. Wongawilli coal mine to close (0) August 26, 2014 Wollongong Coal has announced it will put the Wongawilli coal mine into care and maintenance. Coal mine expansion greenlight creates 200 mining jobs (0) August 26, 2014 More than 200 new mining jobs will be created on the back of Cockatoo Coal’s Baralaba expansion project latest approvals. 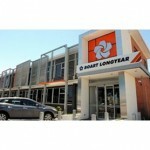 Boart Longyear future looks uncertain (0) August 26, 2014 The continued future of Boart Longyear is cloudy following the driller’s latest negative financial results. Rio Tinto coal called out by Australia Institute (0) August 26, 2014 ​Rio Tinto’s claim that the Mt Thorley Warkwarth expansion would bring $1.5 billion into the NSW economy has been ​slammed by the Australia Institute. M&E NSW 2014 Preview: Pipe system couplings (0) August 26, 2014 Georg Fischer are set to display their piping system solutions, with a particular focus on their electrofusion couplers, at M&E NSW on stand 3045. 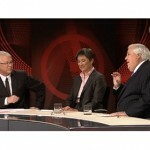 Palmer backpedals on Q&A comments (0) August 26, 2014 ​Clive Palmer has apologised to the Chinese people for comments made on last week’s Q&A program. 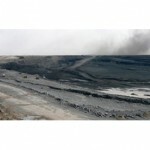 SNC-Lavalin wins Rolleston coal contract (0) August 26, 2014 The SNC-Lavalin McConnell Dowell joint venture has won the EPC contract for the Rollseton coal mine’s 5th coal valve project. 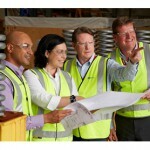 Pacific Brands sell workwear business to Wesfarmers Industrial and Safety (0) August 26, 2014 Pacific Brands has sold its safety and industrial workwear business to Wesfarmers for $180 million. 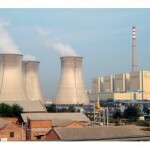 Ross Garnaut: China to reach ‘peak coal’ for electricity by 2015 (0) August 26, 2014 China’s use of coal will begin to taper off as the country makes strides towards cutting air pollution in the nation. 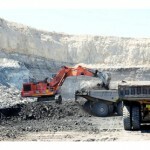 Carmichael coal to hire 5000 in construction phase (99) August 25, 2014 Adani Mining are now taking expressions of interest for employment at the Carmichael mine. 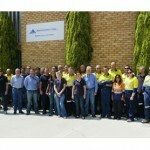 Southern Cross Electrical wins additional Sino Iron works contracts (0) August 25, 2014 Southern Cross Electrical has additional contracts for electrical and instrumentation works across Sino Iron’s minerals processing facilities. New conservation area on Curtis Island is “smoke and mirrors” (0) August 25, 2014 ​Conservationists are cynical about “expansion” of conservation areas on Curtis Island, given the world heritage listing was ineffective against industry. FLSmidth expands its engineering facility in Perth (0) August 25, 2014 FLSmidth has announced plants to double the size of its Perth engineering workshop and warehouses. 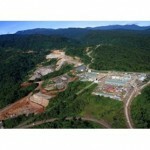 St Barbara may hand Gold Ridge mine to Solomon Islands (0) August 25, 2014 St Barbara is in talks to hand the embattled Gold Ridge mine back to the Solomon Islands Government. New rehab reporting in the Hunter (0) August 25, 2014 ​More than a hundredth of the land in the Muswellbrook, Singleton and Upper Hunter council areas is disturbed by mining, a new report on rehab says. ​Re-entry into Pike River again delayed (0) August 22, 2014 The decision to re-enter the Pike River coal mine has once more been delayed, leaving families of those who died ‘absolutely gutted’. 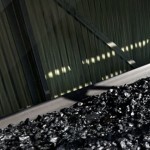 Wollongong Coal up for $1.3 million in unpaid bonuses (0) August 22, 2014 ​An application by Wollongong Coal to dismiss an action to enforce payment of bonuses has been refused by the Federal Circuit Court. 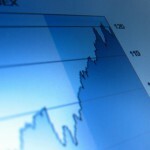 Valuing major miners: BHP and Glencore (0) August 22, 2014 Investors are looking back to the majors in the wake of the recent shakeups to determine whether their is future value in their stocks. 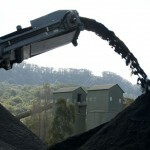 Hunter Valley candidate throws support behind coal miners [opinion] (0) August 22, 2014 Independent Upper Hunter Valley candidate Lee Watts discusses her support miners as the vitriol rises over the Drayton South coal mine expansion battle. Unions concerned over BHP demerger (0) August 22, 2014 News of the BHP Billiton demerger has unions concerned about maintaining conditions, EBAs and entitlements for workers at the unwanted projects. Royal Flying Doctors launch new mine safety program (0) August 22, 2014 The RFDS, QLD Mines Rescue Services, and St John Ambulance have launched a dedicated medical training program for mine rescue teams. Female participation in mining falls (0) August 22, 2014 ​The number of women working in the mining industry has fallen by 1.6 per cent of the total workforce in the year to May 2014. VIDEO: Weekly news highlights (0) August 21, 2014 This week we look at the discovery of a new oil field, some ‘robust’ sharemarket activity, and Clive Palmer’s latest outburst against the Chinese. 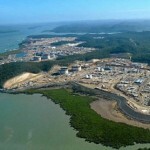 Local Mackay lobby group criticises environmental activists (0) August 21, 2014 ​The Resources Industry Network has entered debate about the Abbott Point expansion, seeking to counter “misleading” claims by environmental activists. 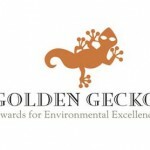 Resource industry environmental awards finalists announced (0) August 21, 2014 ​WA Mines and Petroleum minister Bill Marmion has announced the six finalists for the Golden Gecko awards 2014. FIFO suicide comes under parliamentary spotlight in WA (21) August 21, 2014 ​The West Australian parliament has unanimously backed an inquiry into the link between FIFO mining rosters and suicide. Mining officially starts at Maules Creek coal mine (0) August 20, 2014 Whitehaven Coal has commenced open cut mining at its Maules Creek coal mine. 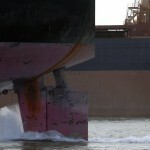 Fears for new shipping berth at Port Hedland (0) August 20, 2014 Junior miners may be set back with news South West Creek shipping berth is unlikely to be built before 2019. 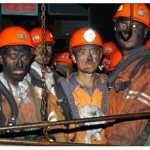 Explosion traps 29 Chinese miners underground (0) August 20, 2014 An explosion at a Chinese coal mine yesterday has trapped 29 miners underground. 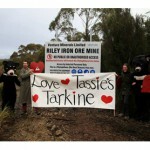 Mt Riley succumbs to poor iron market (0) August 20, 2014 ​Venture Minerals have announced operations have been suspended at the Riley Creek mine in Tasmania. ​Australian wins minerals processing patent challenge (0) August 20, 2014 University of Newcastle professor Graeme Jameson has won a patent challenge brought against him by US manufacturing giant Eriez Manufacturing. Macmahon suspend Mongolian work over payment (0) August 20, 2014 Macmahon’s Mongolian subsidiary has suspended work as its payment runs overdue. 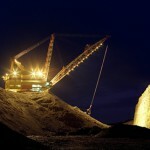 BHP announces raft of management changes in wake of demerger (3) August 19, 2014 BHP Billiton has announced a series of changes at the top as it carries out a demerger of its half of its assets. 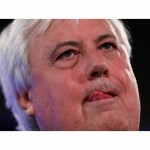 “Chinese bastards” steal our iron ore: Palmer (0) August 19, 2014 ​The irascible Clive Palmer has raised eyebrows higher than ever by saying the Chinese government is trying to steal our nation’s natural resources. Fighting in Ukraine traps miners underground (0) August 19, 2014 Heavy fighting in Ukraine has cut power to a coal mine, trapping around 30 miners underground. 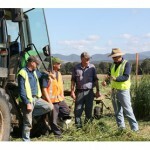 Miner teams with QLD agricultural college (0) August 19, 2014 Glencore has partnered with Queensland’s Emerald Agricultural College to help develop a new generation of farmers. 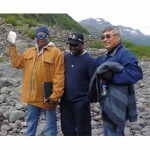 International indigenous mining partnership developing (117) August 19, 2014 Australian Aboriginal company Karlka Nyiyaparli Aboriginal Corporation is working with Alaskan indigenous group NANA to develop global expertise. 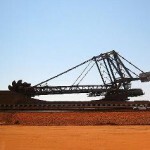 WA in budget trouble due to iron ore market optimism (0) August 19, 2014 ​Royalties estimates in the Western Australian state budget have fallen well short of the mark due to the unexpectedly low price of iron ore this year. 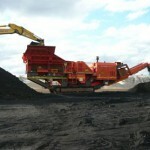 Japanese buy into Boggabri coal mine (0) August 19, 2014 Japanese power company Chugoku Electric Power has bought a large stake in the Boggabri coal mine. 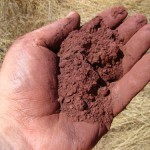 WA EPA gives greenlight to rare earths project (0) August 19, 2014 Northern Minerals’ Browns Range rare earths project has been given EPA approval. 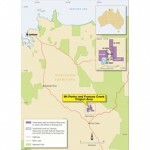 Ark Mines gets greenlight for Northern Territory gold mine (0) August 19, 2014 Ark Mines has obtained approval from the Northern Territory government to begin mining activity at its Frances Creek Golden Honcho project. New WA mining safety legislation on the board (0) August 19, 2014 The WA Department of Mines and Petroleum has given the greenlight to modernise mining safety legislation in the state. Bravery medal due to Beaconsfield rescuers (0) August 18, 2014 Eight years after the tragedy at the Beaconsfield gold mine, the Governor-General has recognised a number of rescuers. Collie coal region in doubt by WA Department of Finance (0) August 18, 2014 ​Increasing cost pressures on coal miners in Western Australia have led to speculation that power stations may need more imported coal. First wave of new workers start at Whitehaven’s Maules Creek coal mine (0) August 18, 2014 The first wave of new permanent employees have begun at Whitehaven’s Maules Creek coal mine, near Boggabri, NSW. 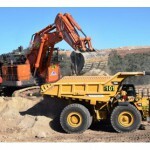 Emeco wins Chilean mining equipment contract (0) August 18, 2014 Emeco Holdings has won a five year mining equipment hire and rental contract with Chilean contractor Fe Grande. 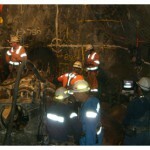 Gold Ridge confirms job cuts (0) August 18, 2014 Following heavy rainfall and production and security issues, St Barbara has cut its workforce at its Solomon Islands’ Gold Ridge mine. 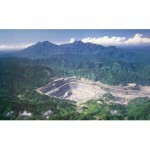 Rio Tinto ‘reviewing’ future of Bougainville copper mine (0) August 18, 2014 Rio Tinto has announced it is reviewing its continued holding in the Bougainville copper mine following a bill passed by the island’s parliament. Robust Resources ready for takeover (0) August 18, 2014 ​Playing hard to get has paid off for Robust Resources, with an increased takeover bid thrusting their share price up 52 per cent on Friday. Aurecon appoints new CEO (1) August 17, 2014 Aurecon announces the appointment of Giam Swiegers as its new Chief Executive Officer (CEO) effective 1 February 2015. EBA voted in on Curtis Island (0) August 15, 2014 ​The EBA proposed by Bechtel has passed by a majority of voters on Curtis Island, shattering hopes of a change to a 3/1 roster. Gem Miner: An addictive distraction (0) August 15, 2014 ​Today we’re going to invoke an old tradition here at Australian Mining, and recommend a mining game of the week. Jobs will continue to suffer in mining sector (0) August 15, 2014 ​New analysis from the Department of Employment has forecast a jobs slump of 4.5 per cent over the next five years. 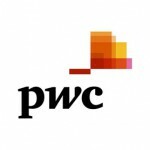 Australia in the productivity doldrums (0) August 15, 2014 ​Efficiency in the Australian mining industry has received a stern rebuke from PricewaterhouseCoopers as one of the least productive regions in the world.